It is here, the contest you have all been waiting for: Project Recycled! Six excellent crafters tackling different challenges each week to see who can recycle there way to the crown. I am so excited to introduce the first round of projects. Check them out and then vote on your favorite. The polls will be open until 12 midnight on Friday. Please check out the projects after the jump and make sure to VOTE! I must admit, I'm a bit selfish when it comes to clothes. I want stylish but unique... oh, and earth friendly! Lately I've been looking online and at magazines for cute outfit inspirations. I start by looking for outfits that have some aspects similar to pieces I already have in my closet. 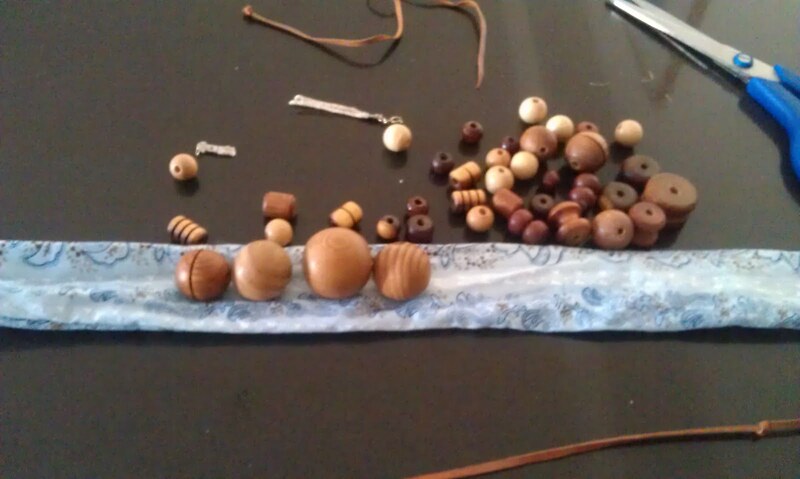 From there, I refashion things I have, stuff from my stash or thrift store finds. Recently, I've been into yellow but it just wasn't in my closet and the few yellow t-shirts in my stash weren't inspiring me. When I stumbled upon a great pillow case, my first thought was a dress for one of my girls, but I just loved the pattern and decided to be selfish and use it for myself! Instead of the typical pillow case dress, using the opening as the bottom hem, I used it to create a casing at the neckline. I cut a large circle out of one of those t-shirts. The largest circle I had was this basket, but it worked. Once I had the circle, I cut it into a spiral. 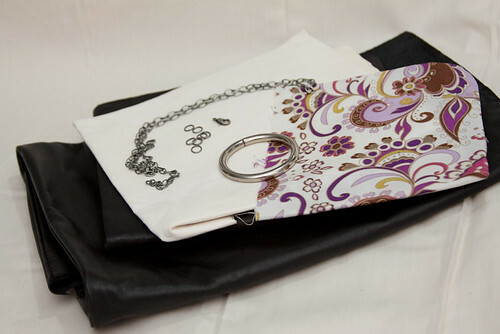 This became one option for the ties, a black polka-dot ribbon was a second choice. 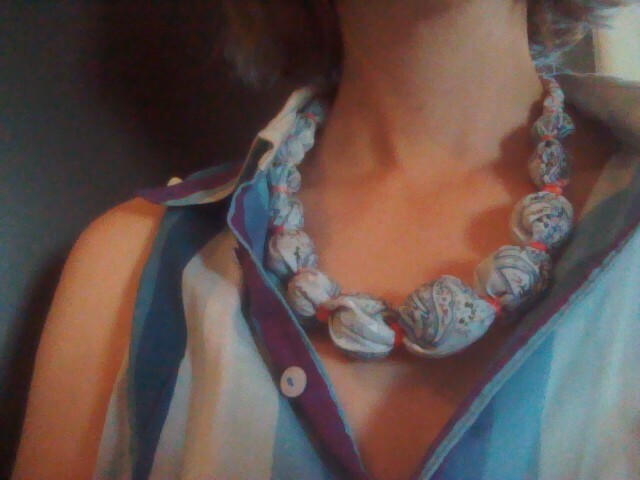 Since the t-shirt fabric is streachy and spiral cut, it makes a great ruffled tie. To make the shirt more form fitting and less pillow case-ish, I added several rows of shirring (elastic thread) in the back. My friend modeled it for me and is now on a mission to find cute pillow cases for herself. 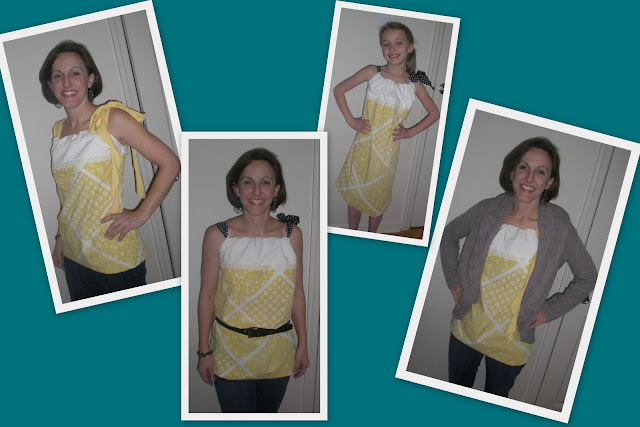 It's a simple upcycle, but sometimes it's something simple that can make a big impact! I got it since it had no stains, material in good shape, and I like red! It was on my "to do" list. The cowl had a weird elastic in it it.. who knows why. First things first.....I washed it!, Then laid it out and folded in half and marked the center with chalk, grabbed my handy dandy scissors and cut straight up the center... hem line through neckline and through that weird cowl. Next up....sleeves off!, tried it on, marked how low I wanted the arm holes to extend, and cut it also. 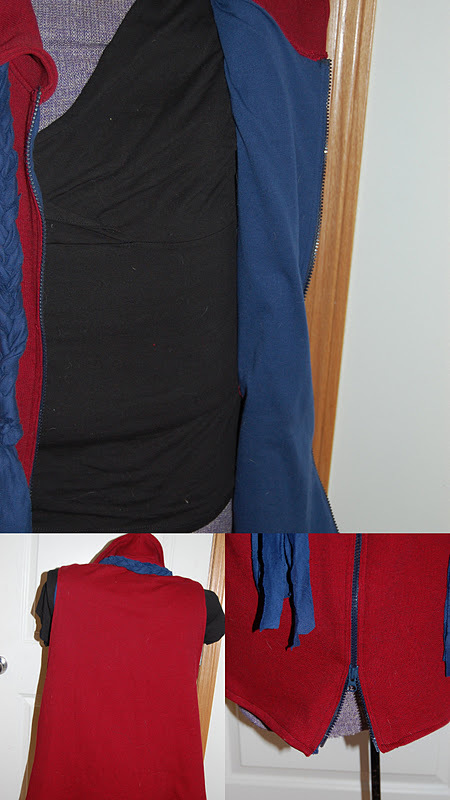 Then hit my stash and found a lloonngg zipper for a jacket, and it was blue. Which means my color scheme is going to be blue and red. 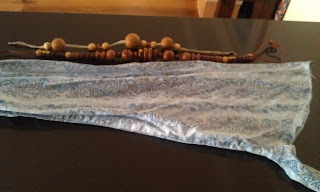 Then it the fabric stash and found a blue (matched the zipper exactly!) knit and thought it would be great for the lining. Can you see how the zipper and lining match almost exactly? I have had the zipper for at least a year from a yard sale and the knit I picked up at an auction in a box of "stuff" After the vest was completed, I thought it needed something else.. I used the scraps of the knit fabric...maybe a half yard, and made a braided scarf. I actually braided three sections and then braided those sections together and tied the ends with another scrap so I had some fringe left. This little case is made from a pair of men’s corduroy pants. I centered my tablet over the back pocket and traced around it to make sure I cut the right place because I wanted the pocket to be on the outside of the case for cuteness and to be functional. See you can use the pocket! That’s my favorite part. 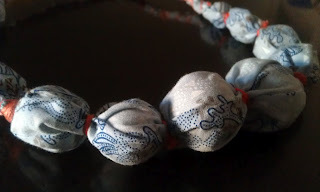 It’s lined with fabric from the same pair of pants. It closes with the zipper that was on the pants. It was a little tricky but I used my seam ripper to get the zipper out of the pants. It fits snuggly into the case and is safe in my purse. 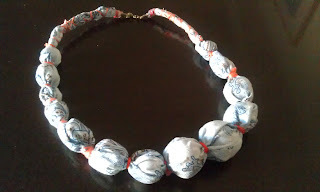 The following upcycled necklace has been made using fabric from a thrifted shirt sleeve (I am using the shirt for another refashion), and wooden beads from another thrifted necklace purchase. 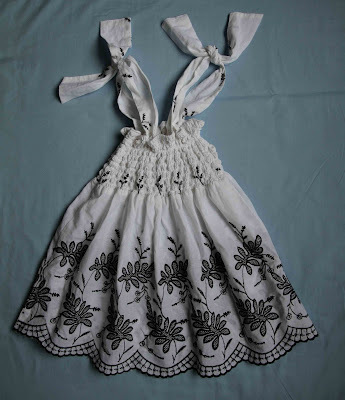 The adult's baby doll top was easily turned into a shirred dress to fit a child, by cutting off the top of the dress, adding extra shirring, altering the halter neck strap and reattaching as four ties. 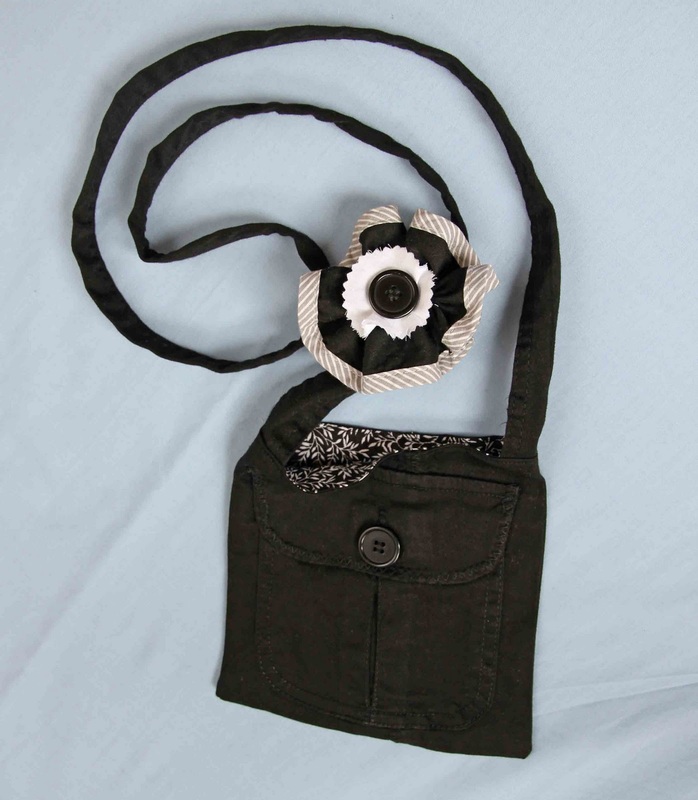 The fabric flower was made with a facing from the jacket, left over fabric from the baby doll top and a button from the jacket. The striped edge on the flower, was originally the bias tape on the edge of the facing. 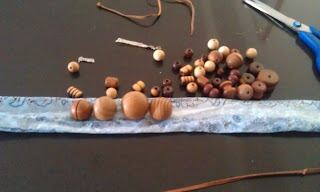 A hair clip has been added to the back, so it can be worn either in the hair or attached to either the dress or the bag. 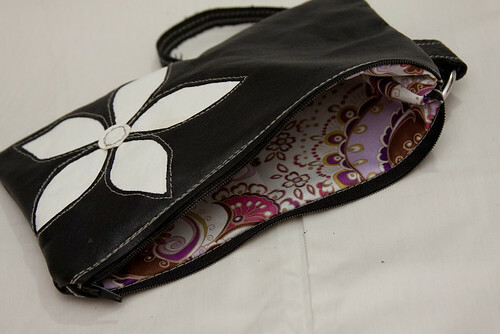 The outer part of the bag was cut from a piece of the jacket which included the pocket. 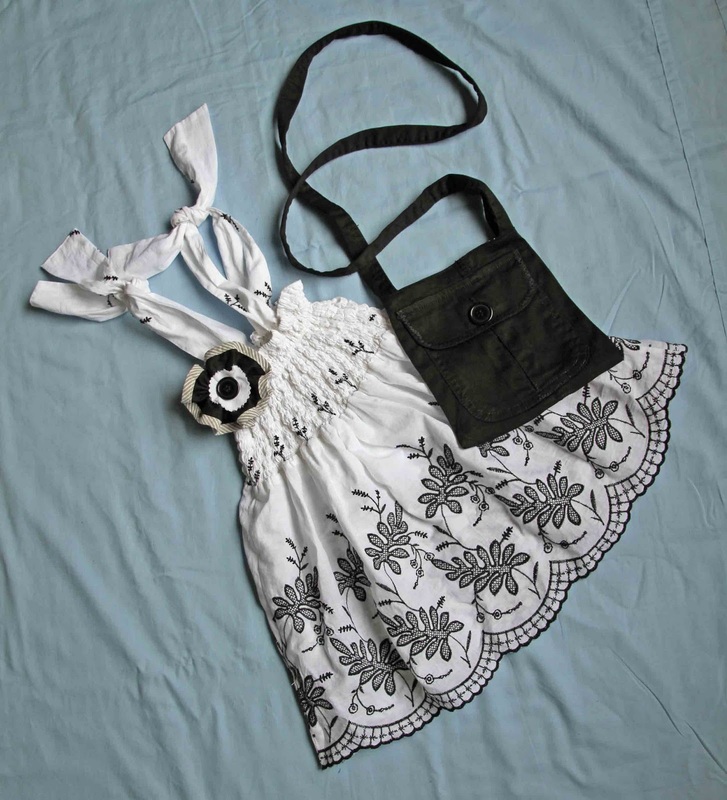 A remnant from another sewing project was used for the lining and the jacket belt became the bag handle. 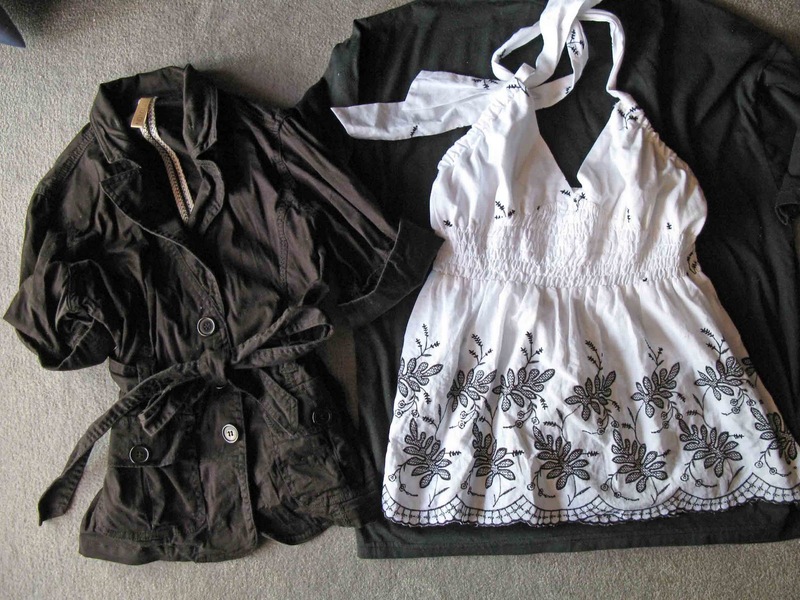 There you have it, a cute, little outfit, that effectively, cost nothing to make. First of all I'd like to say thank you to Robin for organizing Project Recycled. I think it's a wonderful idea and I'm so excited to be a part of it! 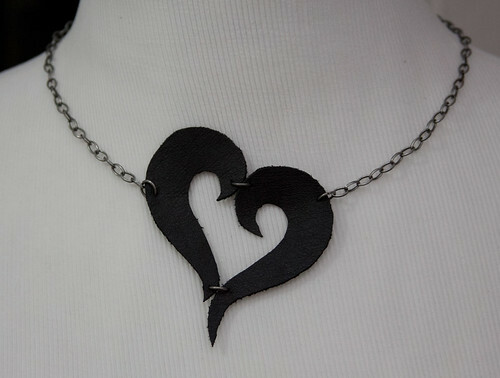 I started out by making a simple necklace of pieced leather connected with jump rings. 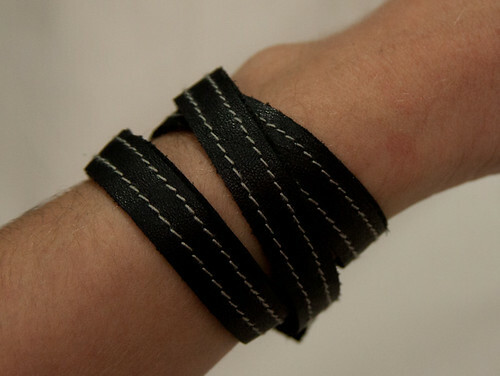 Next I made a wrap bracelet from two strips of leather sewn together and clasped with a heavy-duty snap. 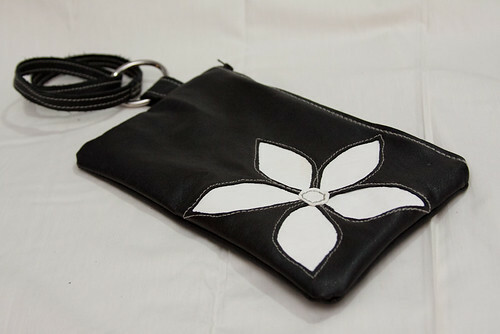 And finally I made a lined clutch/wristlet purse with a reverse applique flower. 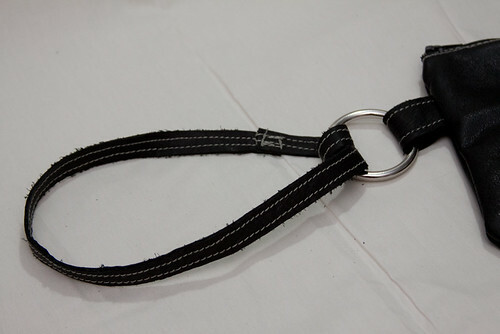 The strap can be doubled and worn on the wrist, or pulled out and hung over the shoulder. Thank you so much for everyone's submission. Voting will be open until Friday at midnight!